Even though the day is all about celebration, Dia de Los Muertos is considered a very macabre holiday. Sugar skulls (or Calaveras if you're fancy) and rosaries are everywhere, complemented by many burning candles and the possessions of deceased loved ones. The day calls for wearing all-black clothing, offset by tiny red rosebuds. For the most part, everyone is dressed this way so standing out in the crowd is almost impossible...until now. 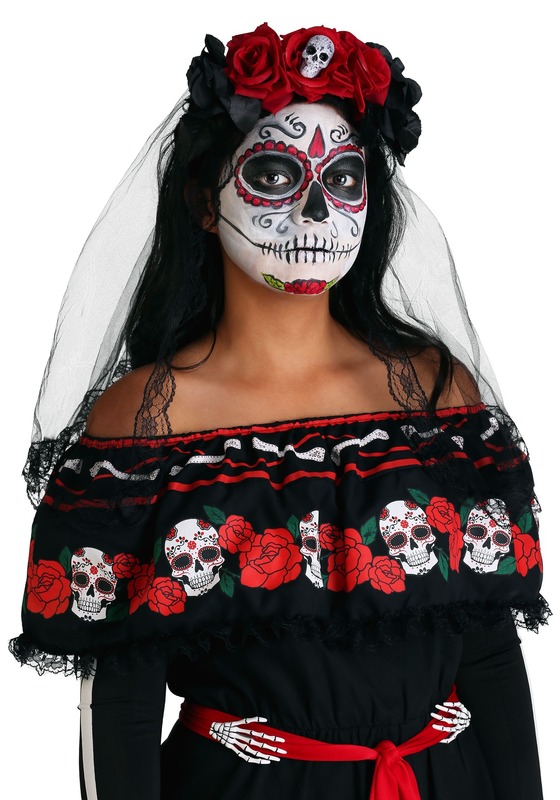 The Day of the Dead veil is the one accessory that shrouds your identity while also setting you apart from the other celebrators. It's a remarkable piece that will go with any and all of your Day of the Dead garb. Honor the spiritual journey of passed on friends and family members by crowning yourself the 'unofficial' queen of this special holiday with the Day of the Dead veil. 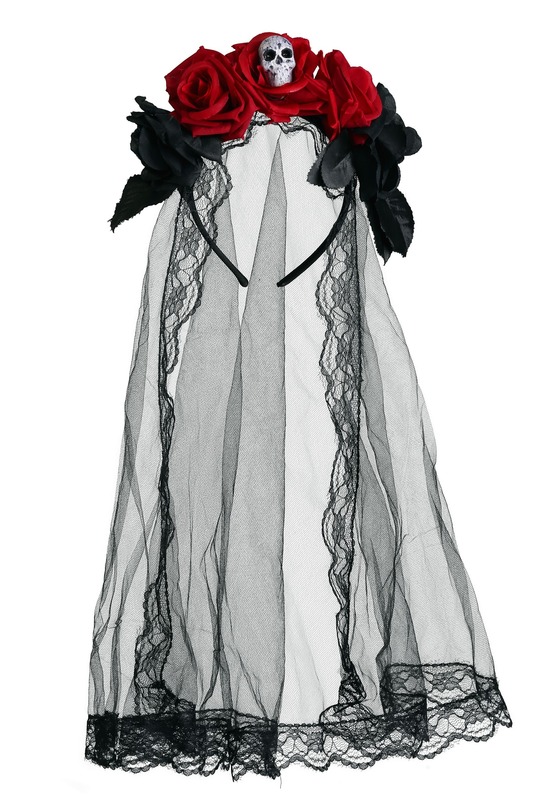 The Day of the Dead veil has everything you could want from a Dia de Los Muertos accessory: fake roses, a plastic skull and a long mesh veil with a lacey edging. If you really want to go all out for the event (and why wouldn't you?) then pick up a colorful face makeup kit and a full Sugar Skull costume.